Jeremiah grew up in California and then in his college years became aware of the performer scene and extended family that centers itself around the Moisture Festival and Oregon Country Fair. He did it convincingly so we kept him around. He now lives in the San Francisco Bay Area performing full time and developing his juggling business The Throw Zone. 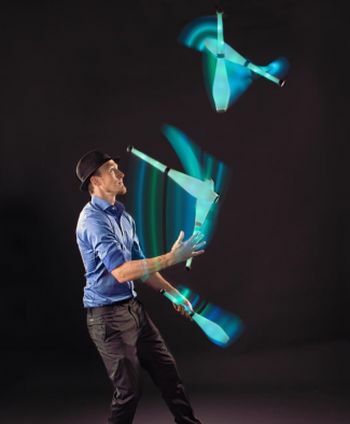 Jeremiah is now the holder of two medals from the world juggling championships and he elicits his own large laughs while demonstrating displays of dexterity and balance that captivate audiences. Moisture Festival won’t be able to show you some of his beautiful fire juggling but we’re all looking forward to seeing which of his many skills he’ll pull out for this years festival.